"Be diligent to present yourself approved to God as a workman who does not need to be ashamed, handling accurately the word of truth" (2 Timothy 2:15). 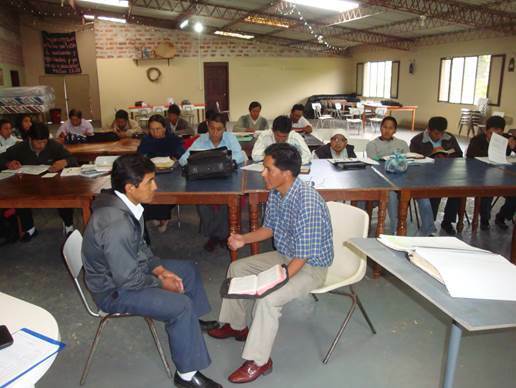 The Peniel Theological Seminary in Riobamba, Ecuador, began with 13 students meeting in the home of Alberto and Nancy Copa. 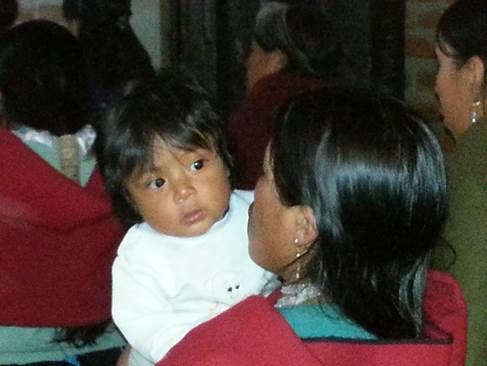 Four years later it has 120 enrolled in Riobamba and four extensions. The curriculum is a solid historic evangelical, conservative, theology grounded in the inspired, inerrant, and infallible Word of God. 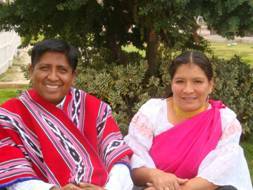 The professors are also pastors of Quechua speaking churches in Chimborazo Province of Ecuador. Wil Pounds has the privilege of serving as an adjunct professor of evangelism and theology. 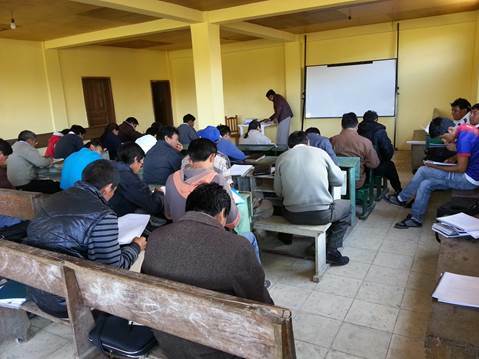 In January 2013, he had the privilege of teaching the course on "Salvation" at two locations. 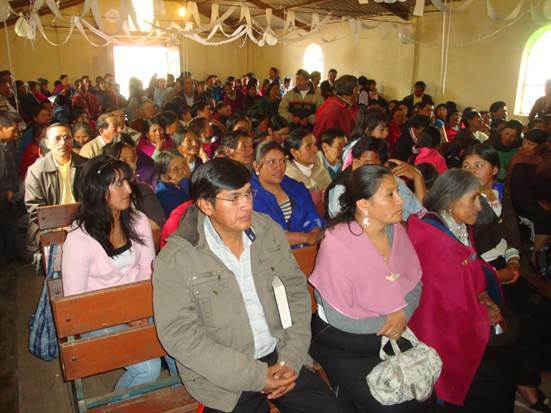 Wil taught my workshop on evangelism to the Quichua church in Pallatanga on a previous occasion. 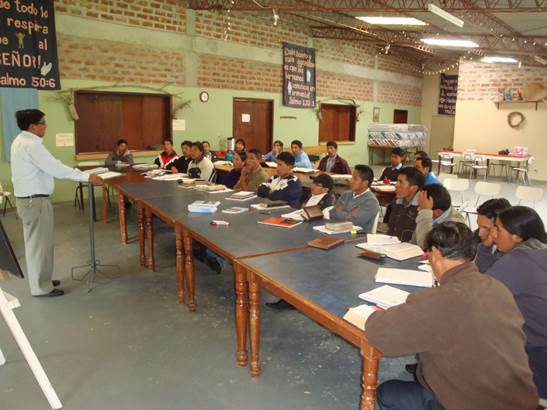 The students in the seminary extension attended these workshops. On this occasion he taught 40 classroom hours on salvation. 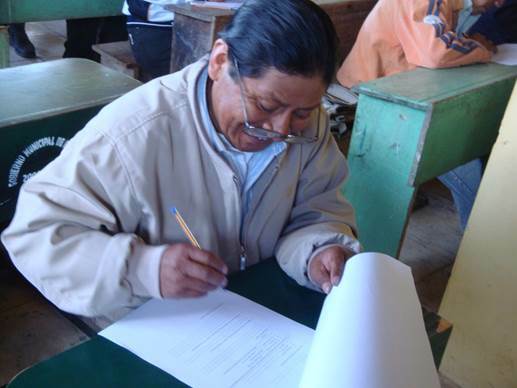 The students are now required to work though the curriculum and take the final exam. 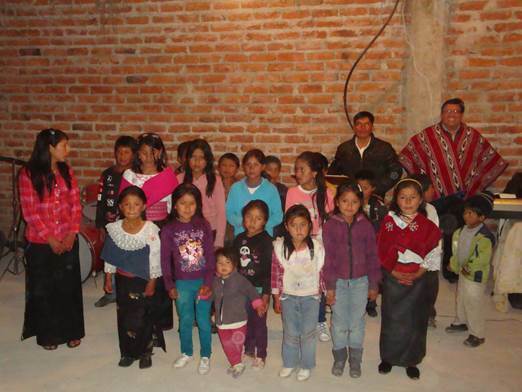 In October 2012, Wil had the privilege of dedicating the seminary extension in Guaranda, Bolivar Province. The first semester began with 40 students, and in January 2013, the students finished the first semester of studies and took their final exams. He had the privilege of encouraging those students as they began another semester. Wil also taught the same course to a graduate level class. 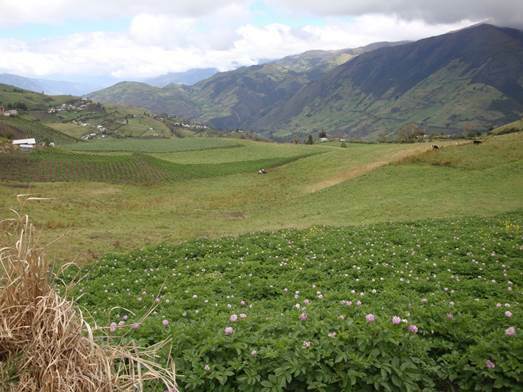 All were professionals who have graduated from a university in Ecuador. They included medical doctors, lawyers, a judge, a psychologist, school teachers, graduate students in the university, business men, etc. These students were challenging and engaged in the class. They have a hunger for the Word of God, and a desire to mature in their Christian life and ministry. Medical doctors, lawyers, a judge, school teachers, businessmen, a psychologist, graduate students in the university, etc. 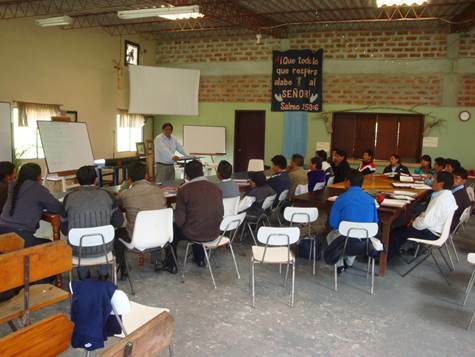 studying the course on "Salvation" in seminary extension in Riobamba. 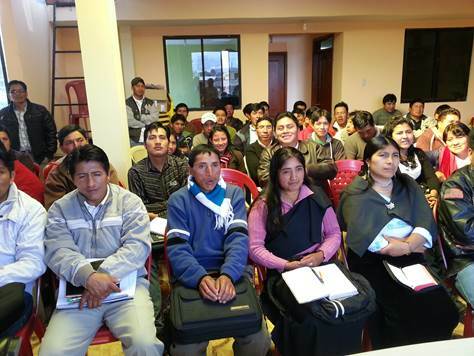 These students along with their families moved to Riobamba from mountain villages in order to get a better education and provide for the elderly members of their families. 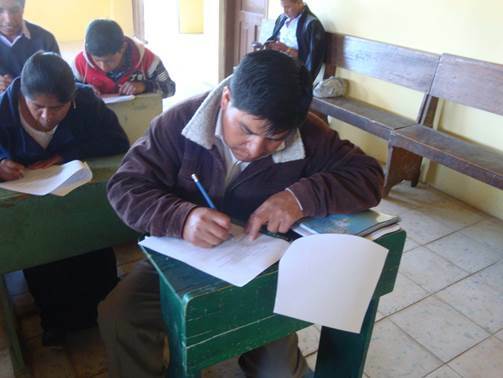 They started Bible studies in their homes, and these grew into churches. 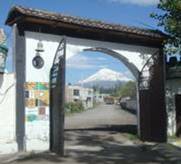 Then they wanted to provide for the care for their elderly parents so they started homes for the elderly. They have a passion for evangelism, and serving Christ with their profession services. 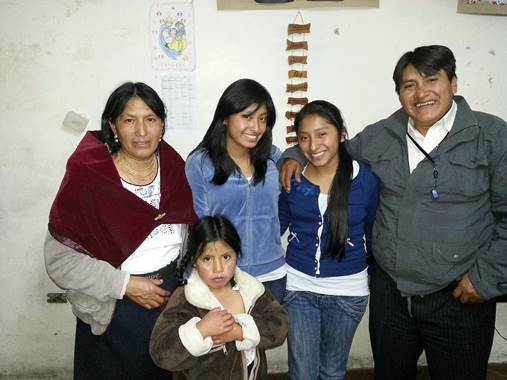 These parents are school teachers with a daughter in her 4th year of medical school, and a teen who has her own Quechua radio program for teenagers which is heard in Riobamba and over the internet. 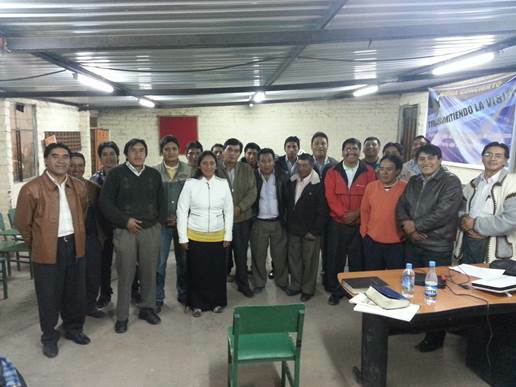 q Pastor and Church Leadership Training Ministry in Ecuador. Each trip costs approximately $3,000 and covers airplane tickets, room and board, rent for truck, gas, local workers, textbooks and food for students.